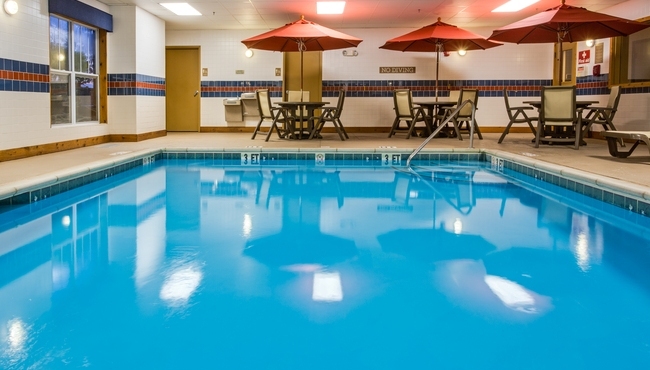 Ideal for business travelers visiting Chicago’s northwestern suburbs, the Country Inn & Suites® by Radisson, Crystal Lake, IL provides a convenient location two miles from Metra rail and about three miles from Cary. Families love being just across the street from fishing, swimming and boating at Three Oaks Recreation Area, and groups appreciate being within walking distance of great dining and shopping options. The hotel's free, hot breakfast makes sure you don't go to your business meeting hungry. Enjoy hearty sit-down items like waffles and cheese omelets, or grab portable goodies like a muffin and a cup of coffee if you're in a hurry. 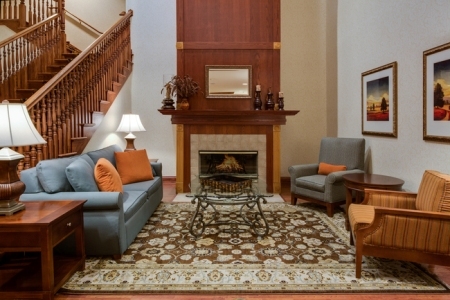 Our hotel is also close to several convenient restaurants for lunch and dinner. Choose the family-friendly Nick's Pizza & Pub for classic comfort food, or opt for upscale shared plates at 1776. Foxford Hills Golf Club – Get to know your clients better with a round at this challenging par-72 golf course, about a 10-minute drive from the hotel. Afterward, stop by the venue's restaurant to grab a burger and a beer. Algonquin Commons – Our hotel is about seven miles from this outdoor shopping center located in the nearby city of Algonquin. Explore more than 60 stores, including Ulta and Charlotte Russe. Grand Victoria Casino – Try your luck at the slots and table games at this exciting gambling destination less than half an hour from the hotel. You can also catch live entertainment on the weekends. 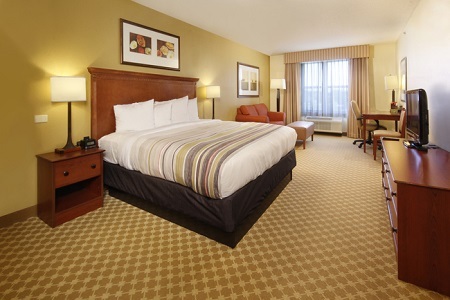 Choose our hotel for your next business meeting or post-tourney soiree. We offer one event room with space for 50 guests and one with space for up to 80 guests. 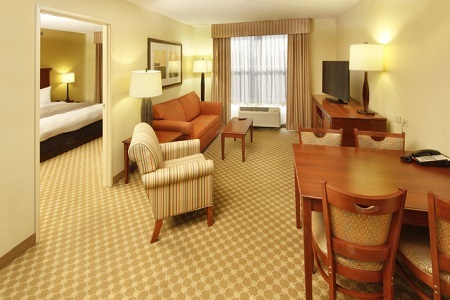 Both rooms provide essential amenities like free high-speed Internet access and audiovisual equipment rental.